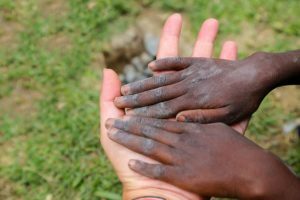 Your Help – Leben und Lernen in Kenia e. V.
There are many possibilities to support the Live and Learn in Kenya Int’l projects. Besides sponsoring a child, donations are the most urgent necessity. Whether for the expansion of the school center or for the nutrition and health of the LLK children – there’s no way around it – funding is what keeps us going. We are also looking for sponsors who would be willing to grant a micro-credit to a foster family that has taken our orphans into their homes. They deserve a more secure livelihood. You will find many opportunities to do good – and truly make a difference on the following pages! As a registered, non-profit association we are able to issue donation receipts.